The chausie, pronounced as “chow-see,” is another cat breed listed under the hybrid cats along with Bengals, Savannah, and the like. “Chausie” is named after Felis chaus, the Latin name of its non-domestic ancestor, the jungle cat. The breed started with the hopes of having a feline boasting the “wild look,” but with kind temperament. Indeed, the chausie is the end result. Although the breeding ensured the crosses to have domesticated temperaments, this feline requires an experienced cat family. The chausie is highly active and very athletic. Thus, it cannot be trusted alone with a place full of fragile home ornaments or a family with small children. On the other hand, this cat can be loyal and forms a strong bond with its owner when given the right attention it thrives for. Further, the chausie is an unusual strikingly beautiful breed. It is classified amongst the most expensive pedigree cat breed considering its wild heritage and rarity. Are you interested in getting a Chausie? Here is a brief background of this unique breed! The chausie is a hybrid born from the crossing between a Felis chaus, a jungle cat and the Felis catus, the domestic cat Abyssinian. It is believed that the hybrid chausie has been existing in many countries all over the world. This is a consequence of the occasional mating of the jungle cat with domestic cats. However, it wasn’t until 1990 when the proper breeding programme was officially recorded. It was first bred in France with the aim to have an affectionate, placid domestic cat retaining the wild look from the jungle cat. The chausie comes from an interesting animal itself. The jungle cat that can be found roaming around the Nile Valley to the Caspian Sea plays a fascinating role in Egypt. It is greatly honoured by the ancient Egyptians. Remains of mummified jungle cats have been discovered along with its owner’s tomb to accompany into the “afterlife.” Moreover, the statue of the goddess Bastet is said to be sculpted after the jungle cat. A close resemblance can be observed with her large ears, svelte appearance, and long slender body. With the efforts of a group of breeders, the chausie gained a registration status in 1995. In 2013, it became the newest championship breed with The International Cat Association (TICA). However, the breed is not yet recognised by the GCCF, but the breeding continued in both North America and Europe. The chausie cat size is medium to large and can weigh as much as 15 to 30 pounds. It is one of the largest domestic cat breeds, considering that they are bred to retain the physical appearance of a jungle cat. Its body structure is long and lean, with deep chest and a slightly short, adequately wide tail. It has large ears complementing the wild appearance. Its head is shaped into a modified wedge with an elongated cougar-like snout. The eyes are small to medium in size, with half-oval top part and the bottom nicely half oval, slanting to the ears’ outer base. The eye colours are mostly gold or yellow, but can also be hazel to light green. Brown ticked tabby has the mouse grey colour close to the skin, whilst the base colour should be sandy grey or reddish gold. The eyes and muzzle should have outlined with an off-white colour. The coat may have two or three bands of dark ticking. The neck can either have or not have necklaces. At the back of the ears show thumbprint markings with a lighter colour. Black coated the cat in a solid colour. Black grizzled ticked tabby is a striking trait acquired from the jungle cat ancestor. It may follow an alternate band of dark and lighter colour that ends with a darker tip. Grooming is minimal as it sheds lightly and only sheds the most during spring. A weekly brushing and wiping with chamois leather would suffice. Further, follow basic grooming such as regular nail trimming, teeth brushing, and ear cleaning. The earlier these grooming routine is introduced, the better. Inheriting the qualities of the jungle cat who is outgoing and adventurous, the chausie cat personality is always in motion. It thrives for human interaction. It is advisable to give it a feline companion or dogs that can tolerate cats well. It cannot handle well when left on its own for hours. As such, it is best that someone must stay behind when everyone else leaves the house. Further, it is a fur ball full of energy, especially the chausie kitten. In fact, it has a deep chest for lung capacity and its sides remain flat for flexibility. The chausie’s built is ready for a long stride and any adventure that you provide, including walks on a leash and playing “fetch.” Its playful behaviour may last well into maturity, making this domestic cat an ideal companion. When this breed is kept as an indoor pet, it is wise to provide a playing area where it can climb up high. There should be toys to engage itself and a place to hide or nap when they want to. As much as it loves to play, it also enjoys a good nap throughout the day. This feline is known to be highly intelligent and inquisitive. They are quick to learn and can be trained to walk with a lead. As it has the tendency to roam outdoors, most owners keep the chausie as an indoor pet to prevent it from being injured or stolen. If so, it is best to provide an occasional stroll to allow this feline time to explore the surroundings with the owner’s supervision. 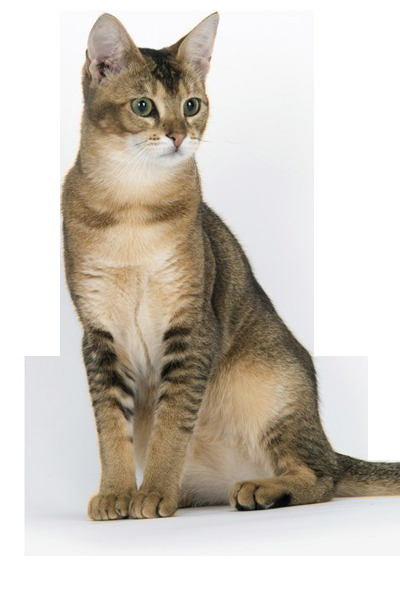 The chausie cat should be provided a nutritious diet that fulfils its nutritional needs. It should strictly follow in providing the same food following the same feeding schedule. If there are changes to its diet, those must be done gradually to prevent digestive problems. The serving portions should depend on the cat’s weight, age, and activity level. Its diet must include at least 25 per cent protein and just 5 per cent carbohydrates. On average, the chausie’s life expectancy ranges from 12–14 years. This cat breed is amongst the healthiest and is not known to be affected by health issues. However, there have been cases of chausies affected by gluten intolerance that imply less capability of breaking down fibre and plant matter. As such, it is necessary to check chausie cat breeder credentials before acquiring one. Moreover, a diet containing more meat is its recommended nutrition. A pedigreed chausie kitten will cost anywhere in between £850 to over £2,000. Average insurance expenses would cost £15 (basic) to £27 (lifetime) monthly. Food costs may range from £15–£20 each month. For vaccinations, boosters, annual checks, and other veterinary costs, pet care costs may add up to more than £600 each year. On an average, a chausie cat owner will spend about £40–£60 per month. The insurance costs can also affect this estimate. For its entire lifetime (12–14 years), the expenses can be as low as £8,650 to as high as £10,080 overall. This estimate does not include the initial costs incurred in acquiring this cat. Is a Chausie Right for You? A chausie thrives for human interaction. Thus, it cannot handle well when left alone for hours. It enjoys strolling on a leash. It is extremely active, energetic, and a high jumper (as high as six feet). It likes more bonding time with its owner and would demand for attention. 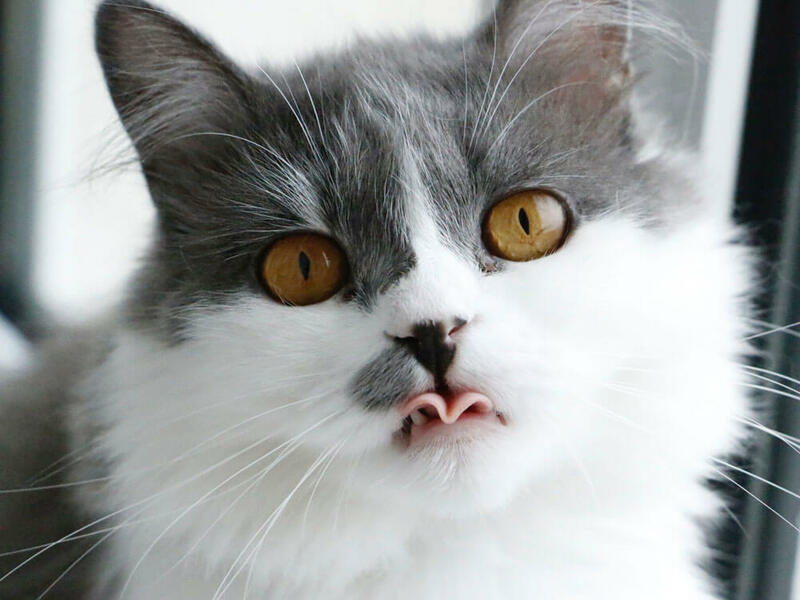 This feline requires a special diet as it is known to develop gluten intolerance.